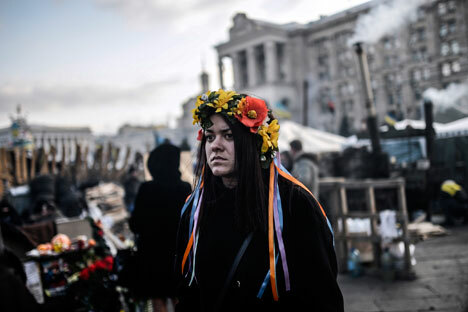 The implosion of Yanukovich’s regime in Kiev and the subsequent legal and political confusion served as a trigger for Moscow’s exceptionally tough response. The referendum in Crimea has drawn a line under an era that lasted for more than 25 years. It can be traced back to the actions of the General Secretary of the Central Committee Communist Party Soviet Union Mikhail Gorbachev between 1988 and 1989. The philosophy put forward by the last Soviet leader consisted, in general, of the need to end systemic confrontation, a denunciation of the division of the world into blocs and recognition of the existence of some sort of universal, ‘human’ ideological basis. Since that time the global landscape has changed beyond recognition. The USSR as a country has vanished. Russia, having officially succeeded the USSR, has in many ways followed this same philosophy in spite of the changes of direction she has made. In fact, when Gorbachev proposed his ‘new thinking’ the global arena was still balanced, the superpowers were evenly matched. Theoretically the supporters of perestroika saw the future in terms of the convergence of two ideas, taking the best of both systems and rejecting the negative elements. The collapse of the USSR put an end to dreams of an equitable convergence and mutual ideological enrichment. The right to discuss universal human values and the rules of international relations went to the winning side. At a very early stage these rules, which in Russia were fundamentally accepted as default, raised suspicion of an extremely weak foreign policy. There were conflicts with the West from the very beginning and they grew ever more severe - the Caucasus, Yugoslavia, Iraq, the Post-Soviet region from the ‘colour revolutions’ to the war with South Ossetia, and the Middle East… the principal legacy of the Gorbachev era however has remained, in that constructive relations with the West were considered inherently valuable, essential for the country’s development. The Ukrainian crisis has redrawn familiar boundaries. The implosion of Yanukovich’s regime in Kiev and the subsequent legal and political confusion has served as a trigger for Moscow’s exceptionally tough response. If there is a chance that our neighbouring country could make something of itself with the active participation of the United States and Europe and be built on different principles (in this case it is not important whether these are more liberal or the opposite, obscurantist neo-Nazi values) the opportunity for agreement has disappeared. Moscow is no longer counting the costs linked to the possibility that relations with the West as a whole could be severely damaged. The motive for development of Ukraine is both fortuitous and logical. Fortuitous, because if she were not so corrupted and plundered by talentless officials and possessed an underlying strength, there would have been no such failure of her political system. Logical because Ukraine has always been seen as the most important bridgehead, upon which Russia’s physical security as well as the balance of power in Europe depended. This does not mean that the Kremlin’s goal is the restoration of a country it lost in 1991. There is talk of a virtual re-enactment of the end of the ‘Cold War’. In Russia there has always been a perception that the USSR did not just lose, but surrendered and left the battlefield. Russia’s status as a beaten power, which has never been recorded anywhere but it is generally accepted, led not only to the need to make concessions again and again but also meant that the rights she wanted could never be reinstated in the new system. No one side is looking to reach agreement on equal terms, but Russia is not suited to the position of a power that is ‘always on the up’. Moscow is not capable of the goal-orientated and painstaking work over a long period of time found in the Chinese model. Everything that Moscow was capable of achieving, it attained in the early 2000s, in terms of both international prestige and a reinstatement of growth. The previous development model is worn out. The rules of the game that would once have satisfied Russia are not to be discussed with her any longer. The leading players think that the system that arose as a result of the Cold War does not lend itself to meaningful reform. Similarly the Russian Government has come to this conclusion: that there is no chance of a breakthrough if Russia remains on her present course, as she faces extinction. Therefore either Russia will succeed in bucking the current trend and will be forced to take this to heart, or some kind of confrontational balance will be established, orientated towards non-Western partners. Why the decisiveness at this point? Firstly, Russia is of the opinion, not without reason, that the world at large has long since grown tired of Ukraine and nobody believes in its future. In accordance with this there will, first and foremost, be no full-scale mobilisation of the Western world. Secondly, the state of Ukraine is such that any attempt by the West to use her as a base from which to confront Russia would just completely destroy the dilapidated infrastructure. Thirdly, the true attitude of the non-Western world to events is ambiguous. Nobody though is able to officially recognise the transfer of part of a state to another jurisdiction without the agreement of the ‘motherland’. Many people though are watching with interest how for the first time since the breakup of the USSR, the United States of America has been thrown an uncompromising challenge. Fourthly, the tightening of Western policy stimulates political initiatives, which were launched much earlier in Russia: the nationalisation of the elite, the turn towards the East, a reduced dependence on the state of western markets, an ideological dissociation from liberal values and so on. The collapse of Ukrainian politics, were it to happen for any reason, would for Russia be a shock on a scale that is hard to predict. The precedent set by the Crimea could act as a boomerang. Russia supposes that in the light of a tangible set of ‘scandalous practices’ that have long since held sway in international law, the main thing is the capability to achieve goals, the legal arrangements are less significant. Moscow has started to play a game on a very large scale. The risk is huge but the potential jackpot is considerable. The Old World Order will stop functioning completely and a new one will soon start to take shape. Nothing came of Gorbachev, who first spoke about the need for a New World Order back in 1986. Vladimir Putin is on his way back to this same fork in the road, to try again.